Hostlic Webhost Review 2019: Is Hostlic Webhost a Good Hosting? Australian host Hostlic is dedicated to providing customized hosting packages that come with DDoS technology. Hostlic Webhost (aka. Hostlic.com, or simply ‘Hostlic’) was founded in the year 2009 by two highly skilled individuals with significant experience in web hosting security and high-risk hosting. This vendor specializes in assuring fast page loading speeds while maximizing protection against attacks. 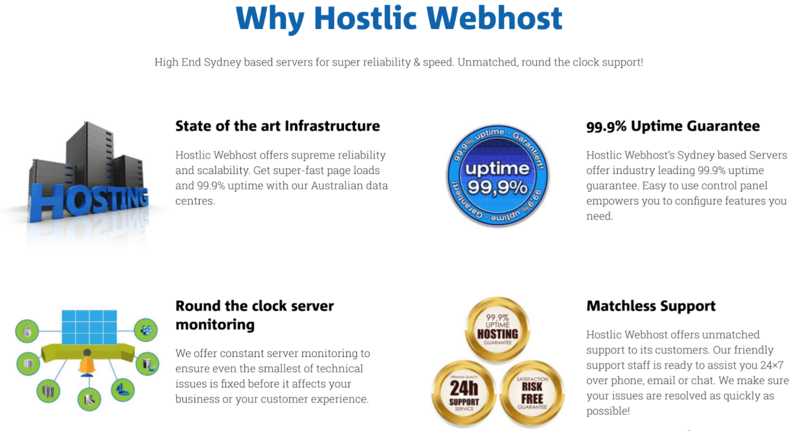 Hostlic’s shared servers are in Sydney, Australia, and its website is in English. Hostlic offers shared, virtual, dedicated, and reseller hosting options that cover all bases for business and personal use. Its four Linux shared hosting packages that come with cPanel can comfortably handle at least three websites. These packages also offer unlimited emails and data transfer, up to unlimited storage, and 99.9% guaranteed uptime. Although Hostlic’s shared servers are located in Sydney, Australia, the virtual server and dedicated server description pages on its website mention U.S., Netherlands, German, and even Romanian data centers. Since Hostlic was founded by experts in high-risk hosting, it’s worth mentioning that this provider offers specific High Risk Hosting packages with enhanced distributed denial of service (DDoS) protection. Hostlic offers amazingly-priced shared hosting plans that supposedly save you up to 76% and also come with Google Adwords credits. But beware the hidden costs of domain registration and an SSL certificate (if required) that are added at the checkout. You can end up paying double the advertised prices. You can pay for plans yearly using the usual methods (credit cards and PayPal), plus Perfect Money, WebMoney, and even Bitcoin. While Hostlic openly advertises a telephone number and provides a live chat facility on its website, its “Contact us” and “Helpdesk/Support” links lead to a client login page. 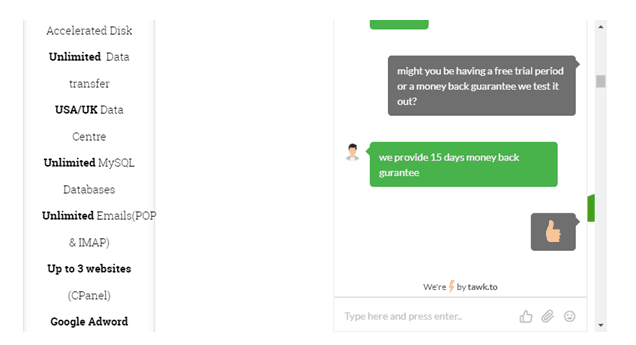 I tested the live chat by asking for advice about any trial periods or money-back guarantees. I was pleased with the response I received to confirm a 15-day money-back guarantee (although this is at odds with the 30-day money-back guarantee that is openly advertised on the Holistic website). If you want to support yourself with this web host, you will find a minimal knowledge base containing just eight articles. Hostlic appears to be a top-notch Australian web host that offers a variety of hosting services with an emphasis on DDoS protection. Wondering how Hostlic Webhost stacks up against other Web Hosting companies? Enter any other Web Hosting company and we will give you a side-by-side comparison.